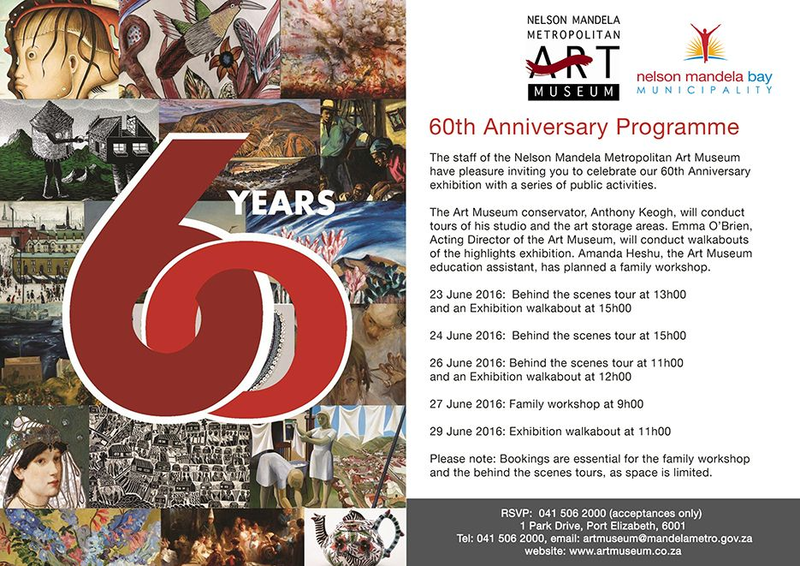 The staff of the Nelson Mandela Metropolitan Art Museum have pleasure inviting you to celebrate our 60th Anniversary exhibition with a series of public activities. 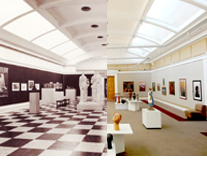 The Art Museum conservator, Anthony Keogh, will conduct tours of his studio and the art storage areas. Emma O’Brien, Acting Director of the Art Museum, will conduct walkabouts of the highlights exhibition. Amanda Heshu, the Art Museum education assistant, has planned a family workshop. Please note: Bookings are essential for the family workshop and the behind the scenes tours, as space is limited. Please call 0415062000 to book.